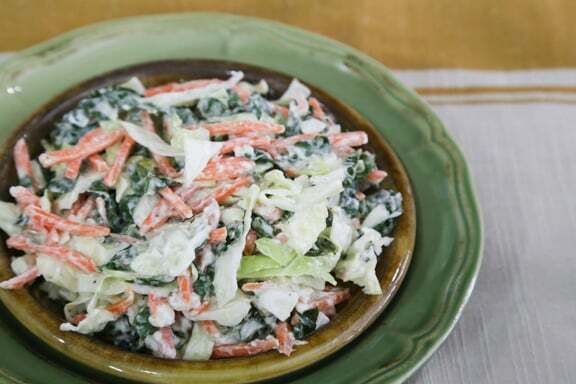 Tri-Color Coleslaw combines massaged kale with both green and red cabbage. It goes with just about every kind of meal, and you can vary it each time with different dressings. You can also add a little dried fruit or apple for a sweet twist. 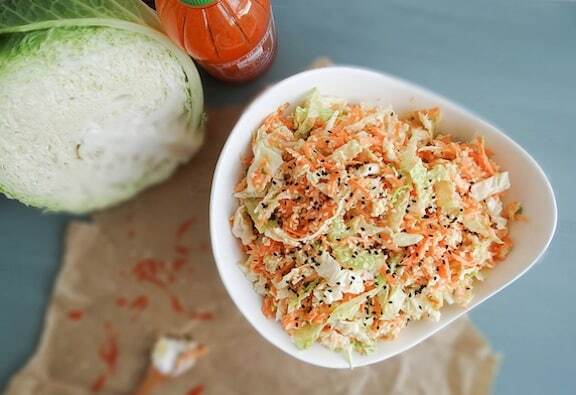 Combining cabbage, sweet potato, and some mildly Thai flavors, this easy (and rather addictive) Raw Sweet Potato Salad with Coconut-Lime Dressing is a treat all year around. 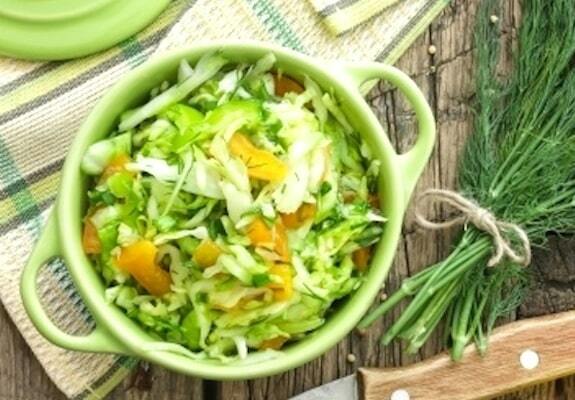 Crushed pineapple is the standout ingredient in this pleasant Creole Coleslaw. It provides a good balance to spicy or bold dishes. My favorite dishes to serve it with are, appropriately, Vegan Jambalaya and Pasta Jambalaya. 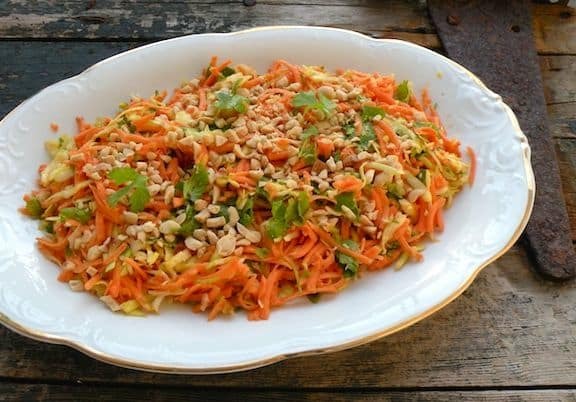 Tangy Coleslaw is perfect for picnics, vegan barbecues, or to dress up everyday meals. It gets an extra kick from pickles, fresh dill, and horseradish. I find this simple raw Kale and Cabbage Salad to be positively addictive. It goes with just about any kind of meal and is good year around. Napa Sriracha Slaw is great alongside vegan brats & beans, tempeh sliders are generously mounded with the stuff and lately I can’t get enough of this slaw stuffed inside my tacos. 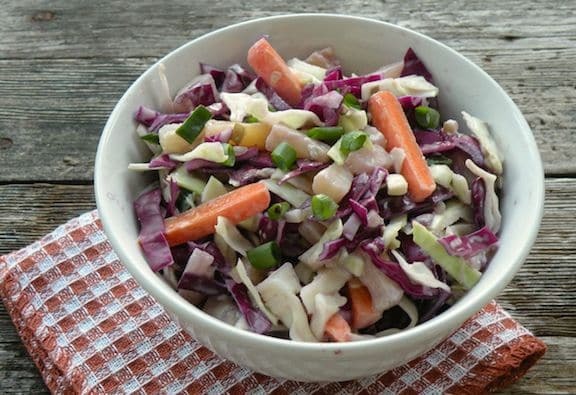 If you are looking for a super creamy slaw adjust the vegan mayo according to your taste.